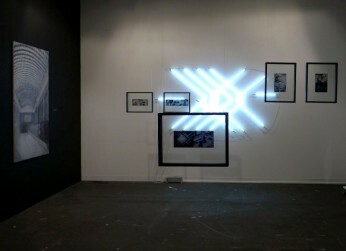 At Art Basel Statements 2009 ŻAK | BRANICKA will be presenting a solo show with Paweł Ksi?rnżek Silent Utopia. Paweł Ksi?rnżek’s project Silent Utopia is a speculative fantasy regarding the infiltrations and connections between Eastern European modernism in architecture and German silent film of the 1920’s. The Art Basel Statements presentation focuses on Metropolis, the 1925 film by director and architect, Fritz Lang, and the implementations of such prominent architects of the period. Paweł Ksi?rnżek examines the connections between this architecture and the film and based on these connections, he proposes a hypothetical analogy for the existence of a sensibility common to that era of creators and thinkers. Upon examining both aesthetics, he wonders whether there were visual markers that could have been prognostic of the impending catastrophe. Ksi?rnżek speculates about how a film could look, and how its content would be altered or maintained, when Czech, Hungarian or Polish architecture replaces the scenography. What would it look like if the film was made in Prague with the Bata Shop building in the background (Ludvik Kysela, Bata Store, Prague 1929), or in Brno in front of Josef Kranz’s 1929 Café Era, using the building’s neon E-R-A sign to light the street on a Metropolis night? In fact, why wasn’t the film shot on Warsaw’s "Ulica Przyszlosci” ("Future Street”) designed by Lech Niemojewski in 1925? Paweł Ksi?rnżek’s paintings and photomontages function as his tools in effacing the border between document and fiction. By juxtaposing and overlaying these two historical phenomena, connected by a trust in the future and contemporaneously created in different places in Europe, Pawel Ksi?rnżek has built his own fake vision of the past.